When Shelby, Ohio, high school senior and homecoming queen Lindsey Gies fell ill with an infection that landed her in the hospital this past December, it was the beginning of a series of unfortunate events for the teen. A negative reaction from medication resulted in a double amputation of her legs from the knees down, as well as the loss of some fingertips. That operation took place January 3 and Lindsey remained in the hospital recovering until February 1. During her nearly two-month hospital stay, members of the Shelby community rallied around Lindsey. Organizations took on a number of fundraising efforts to help the family with medical expenses and the sudden, unexpected work needed to renovate the Gies family home to make it more handicap accessible. 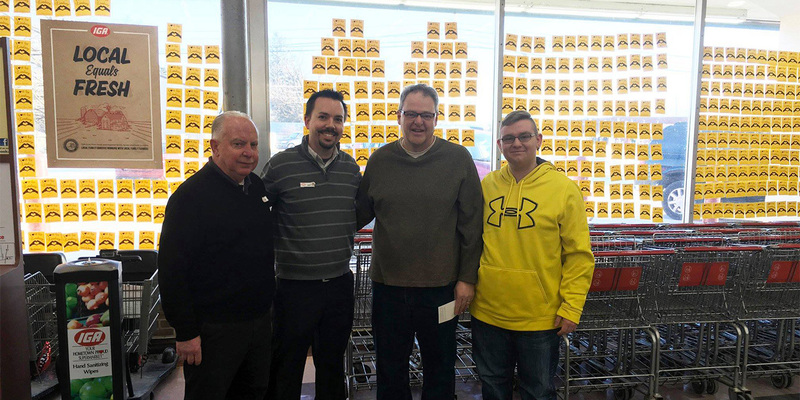 Cornell’s IGA in Shelby was one of the fundraiser leaders. 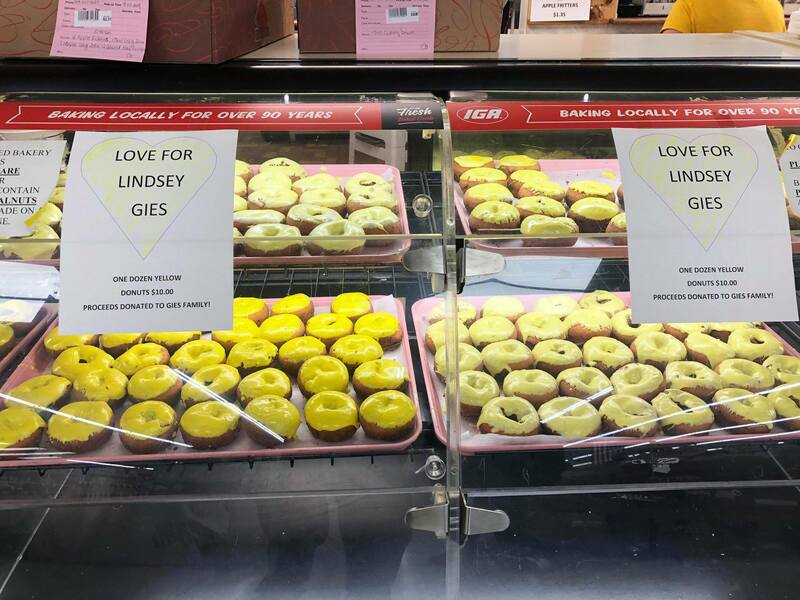 According to Romesberg, Lindsey’s school had already started a fundraiser that was named “Love for Lindsey” and it revolved around her favorite color, yellow, so Cornell’s decided to stick with the yellow theme. The store collaborated with Shelby Printing, which offered to print 2,000 yellow cards to place in the store’s windows with each donation. 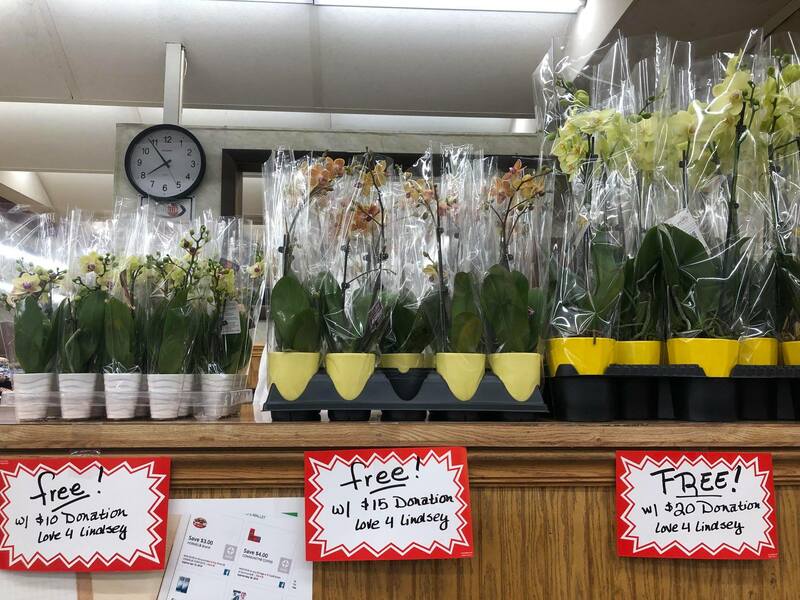 Green Circle Growers in Oberlin, Ohio donated 50 yellow orchids to be sold. And Lipari Foods donated doughnut mix for more than 1,200 yellow doughnuts to be made at the store. Cornell’s held their “Love for Lindsey” fundraiser the weekend of January 18 and the community showed up in a big way. According to Romesberg, nearly every customer was eager to make a donation to the family. The orchids were sold within two hours. 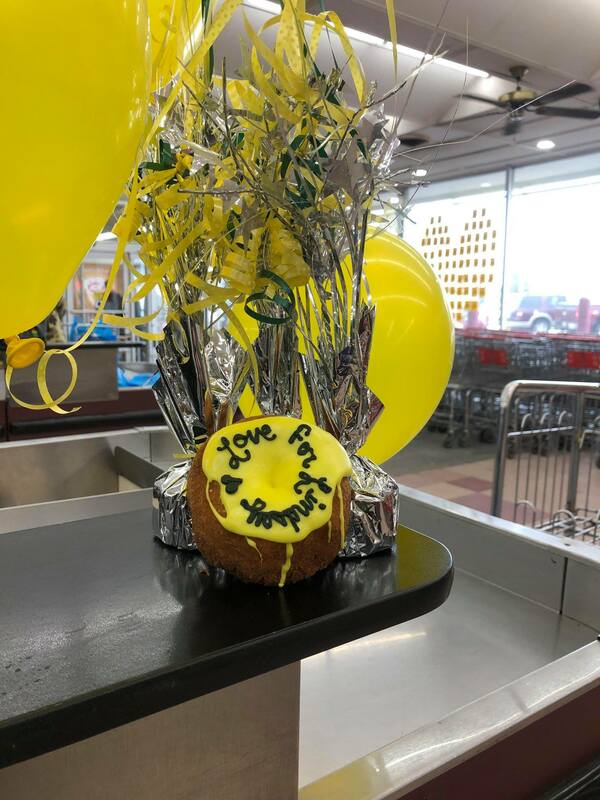 And, over two days they sold every single yellow iced doughnut, with all proceeds going to the Gies family. “We were humbled by the overwhelming response of Shelby,” Romesberg said. The support carried over online, too, with one of the store’s Facebook posts about the fundraiser receiving almost 1,000 likes and 225 shares. With an initial goal of raising $5,000, everyone involved was blown away by the results. When Lindsey’s dad John came by the store on January 31 to accept the check, store carry-out Mason presented him with a grand total of $10,139.94. And the next day, February 1, members of the community lined the streets to welcome home their homecoming queen Lindsey. “A Shelby family had a need and the community stepped up and helped meet that need. Cornell’s IGA is truly Hometown Proud to be part of this caring community,” said Romesberg.